One of the fastest growing trends in residential development is the building of luxury condominium homes that have the square footage of a townhome, without the stairs. Due to the absence of stairs, these homes are often referred to as "Residential Flats". Cities like Dallas, Highland Park, and Addison have all recently approved projects featuring brand new Flats, and as of Monday evening Richardson can be added to that list. On July 25th the Richardson City Council unanimously approved the City's first new housing development that will feature Residential Flats. 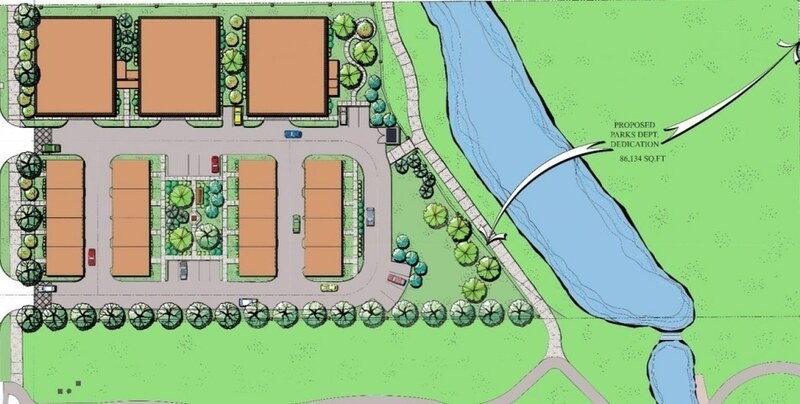 "The Residences on Duck Creek Trail" which is expected to start later this year, was proposed by Twin Rivers Partners LLC in cooperation with Savannah Developers, and will have a mix of both townhomes and flats, directly adjacent to a natural flowing pond of water and the City's beautifully maintained Duck Creek Trail. "This is a truly unique site, it's an oasis, in the middle of suburbia," commented Travis Thompson, the partnership's lead attorney. The site is only 2 miles south of Richardson's booming CityLine development and is just a mile and a half away from the Dart Rail Station at Arapaho. The plan's approval reflects a trend among urban infill Cities that seeks to accommodate the growing housing need of buyers looking to purchase low maintenance homes with no stairs. "From the beginning, we wanted a beautiful project that would not only complement the tranquil setting of Duck Creek but also fill a tremendous need within the City", said Mr. Thompson. The Townhomes and Flats will range in size from 1,700 to 1,900 square feet and are expected to be priced from the mid $300s.